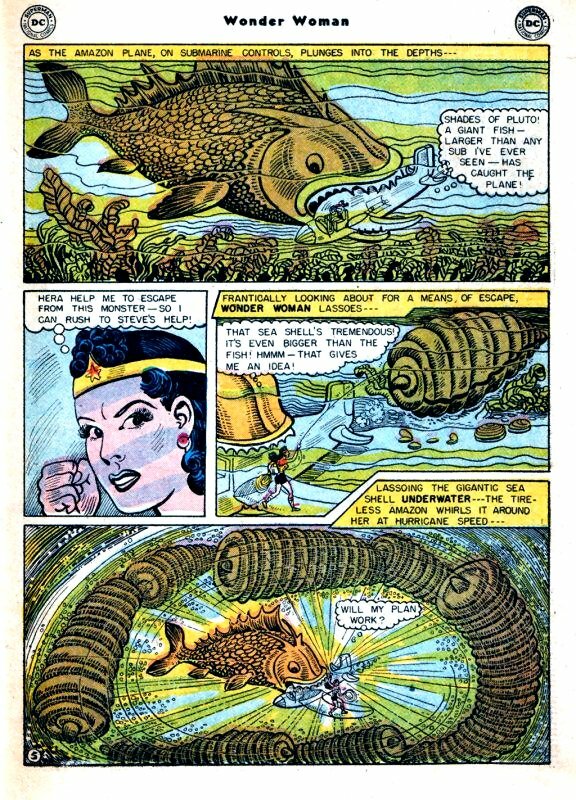 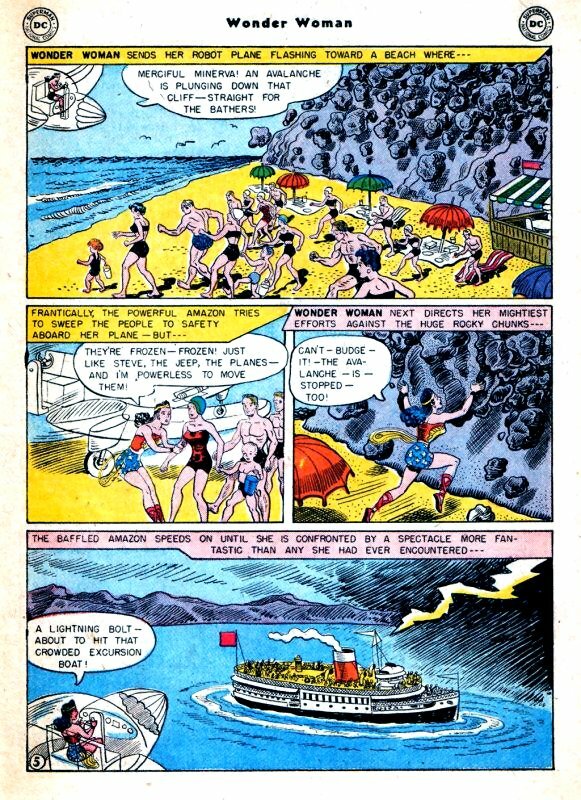 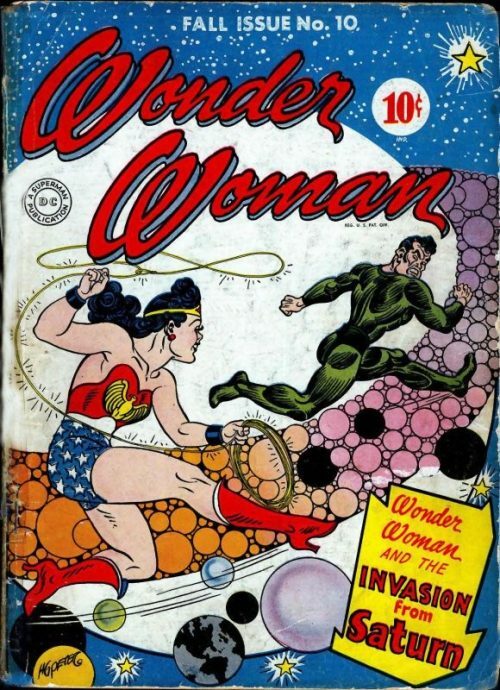 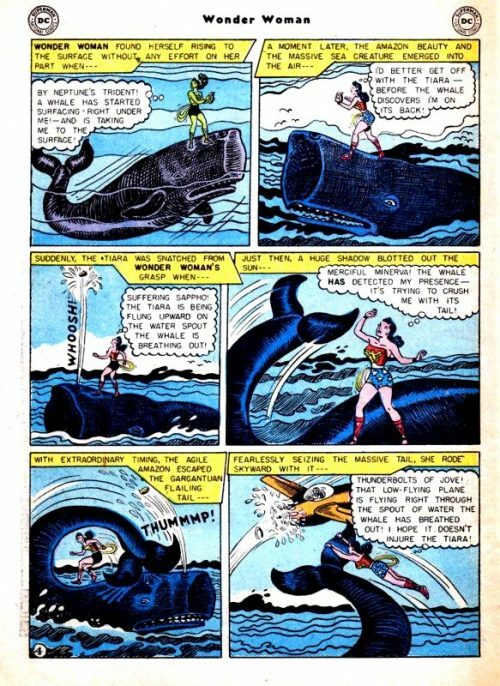 After completing a mission under the ocean Wonder Woman returns to the surface to find that the world seems to be frozen in time. 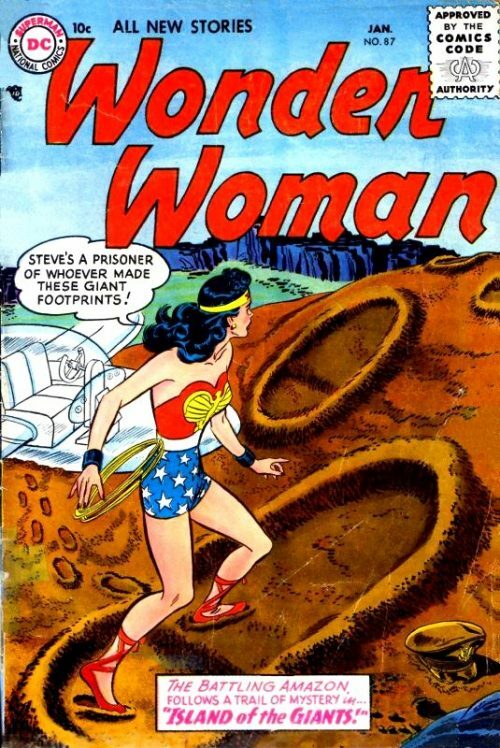 When Steve Rogers’ plane crashes on an uncharted island Wonder Woman must rescue him from an island with giant dangers. 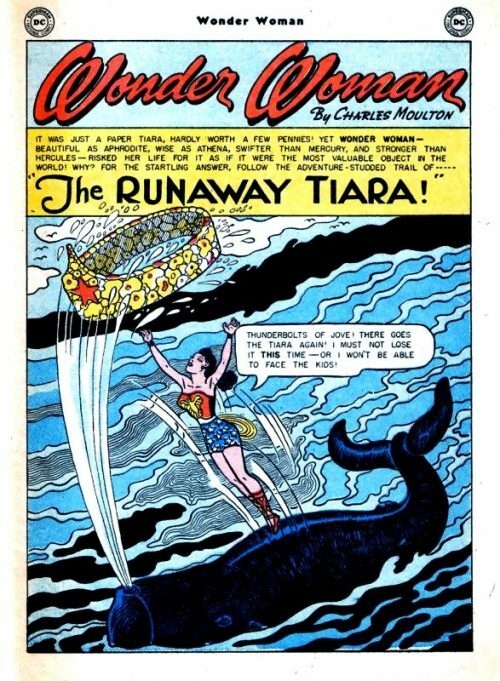 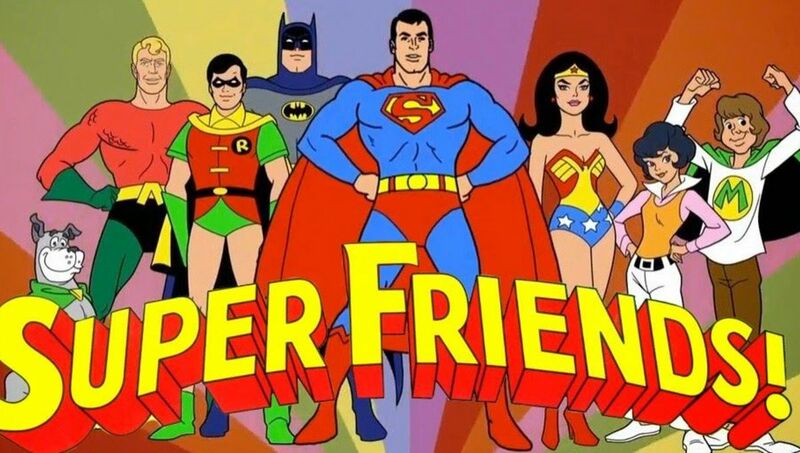 Wonder Woman attends a birthday party for her thrown by a group of poor little girls who give her a paper tiara they have made. 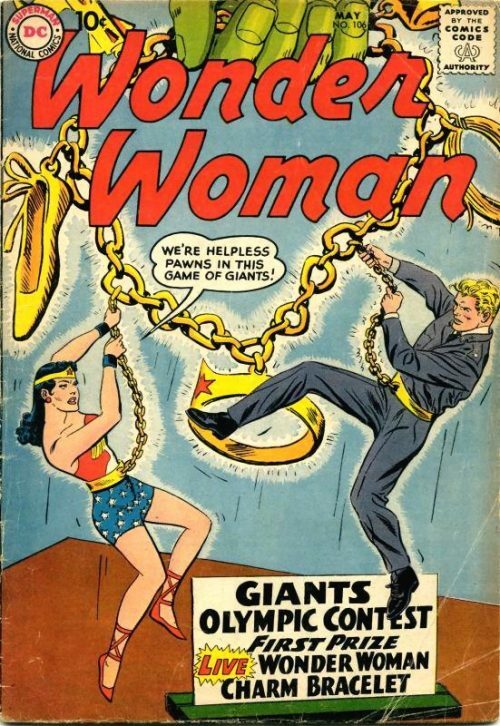 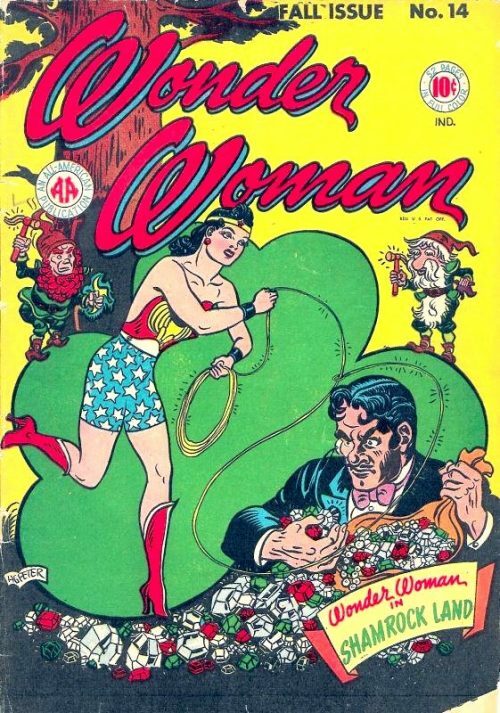 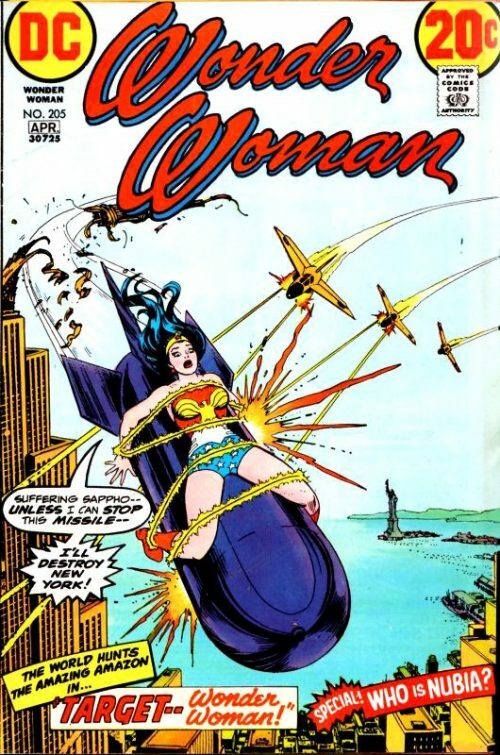 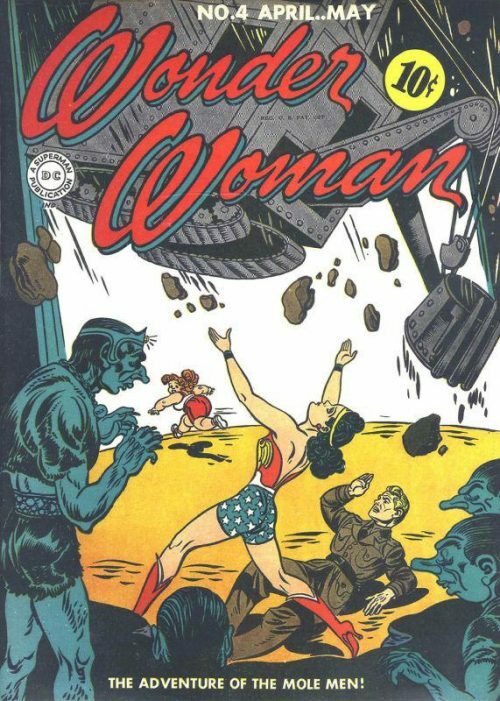 When the wind blows it away Wonder Woman must rescue it from a series of dangers that threaten to destroy it.